As we stand on the Threshold of Knowledge today, Mankind is taking a tiny step into the World of Wisdom. A New Era is taking Birth and we the People are experiencing both the agony and the ecstasy. One factor that can get us through this state of turbulence is Leadership. Yes the World needs New Leaders. My presentation will cover the concept called "Absolute Leadership" which will survive the Test of Time. Absolute Leadership will revive and revisit Values Of the human race which has contributed to the goodness in our planet and will leave behind a legacy to cherish. Why are Absolute Leaders necessary? Absolute Leaders are Renaissance Leaders. They are capable to manage and lead through times of change. To give you examples:- Socrates, Lincoln , Vivekananda, Gandhi .They were all Absolute Leaders who created a concept called distributed Leadership. They create a movement, and give that movement a direction from the present situation to where they want to be... a Vision seen in their inner mind. Absolute Leaders make things happen. They shape the culture for the future to inhabit. They break down dogmas, rituals, customs, behaviour, rigid mindsets, and create a new pattern where the new human race equipped with new knowledge and empowerment can settle down comfortably. From a burning platform they create a new platform to take mankind ahead. Yes, they use management as a Tool to make this happen. They all need to be in Sync for the forward movement .Even if one of the layers is out of sync, friction is created and the effects are visible in that society or nation. The struggle we see in society is for the alignment of these 3 layers. Absolute Leaders address the issues at all the 3 layers and hence are able to create the necessary Impact. Finally Absolute Leaders are Revolutionaries. Determine what actions need to be taken to deliver a response. Make sure that these actions get implemented promptly and in the desired sequence. Absolute Leaders need to Mentor and create leaders who are able to encourage others to tread the Path. Only when this happens there will be momentum and the momentum can be sustained over a period of time. It is true that one person alone cannot change the world but he can certainly make the difference. IDEAS :- They have a clear Idea of what is to be done and how change has to be addressed. They update their ideas to keep them appropriate to changing circumstances. They also encourage and help others to develop their own ideas. VALUES:- The Absolute Leader has strong Values that get communicated to everyone. The values support their Ideas and are deeply embedded. They do not compromise and they want every one to be part of their thought process. 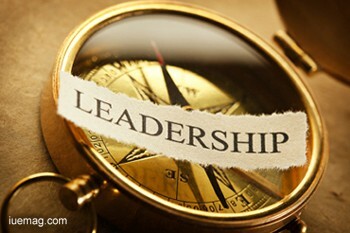 Establishing or revitalizing Values is one of the most crucial and toughest jobs in the hands of the Absolute leader. ENERGY:-Absolute leaders are a bunch of passive and active energy. They work to create Positive Emotional Energy in others. They realign the decision making process. This Energy Component is Important to Understand for it is this energy that he creates that Resonates. The Absolute Leader creates Resonance. This means he releases Emotional Energy Packets which create vibrations to which the People react by latching and getting in sync with the Leaders' Thought Process. The Leader creates a Reservoir of Positivity that frees the Best In People. Let me give you the example of Socrates .469 BC. One man, who wrote no word, formed no school and yet was able to shape the minds and destiny of great Masters. Pluto, Creto, Aristotle, Alexandra all were influenced by this great thinker and philosopher whose only aim was to spread the knowledge of Goodness. Absolute Leaders and the Open Loop Theory. What does it take to be The Absolute Leader. The new leader for the emerging new world. Foremost the Absolute Leader should be able to create and establish the Emotional Climate. People should be able to look for assurance and clarity. They should be able to relate to his thought process ,Ideas and Vision . Secondly the Absolute Leader should be able to Push People's Emotions towards Enthusiasm. A magic gets created in the air. -A Magic in trying to succeed in the Endeavour. The Open Loop Theory is associated with the Human Brain. The human body as we know is a closed loop structure. We have the respiratory system, the circulatory system etc., which operate in a closed loop. It is the Brain that follows the Open Loop System because it is controlled by the Limbic system of the small brain which lies below the Northern Hemisphere and which is virtually a storehouse of our emotional experience. Here we depend upon the External source or stimuli to manage itself. We depend upon other people or situations to manage our emotional stability. E.g. Mother and Child relation or the stock market and heart relation. Going by this theory Absolute Leaders are able to affect the physiological, and thereby, the emotions of the people by their Ideas, values and actions. Finally, to create the Absolute Leader one has to migrate from IQ to EQ. After this transition takes place one can move on to SQ which makes us realize our divine nature and makes us realize our higher Purpose in Life. Any facts, figures or references stated here are made by the author & don't reflect the endorsement of iU at all times unless otherwise drafted by official staff at iU. This article was first published here on 6th August 2014.